Twitter often breaks the news – frequently Twitter covers breaking news minutes or hours before the news wires carry the same story. But sometimes Twitter makes the story. 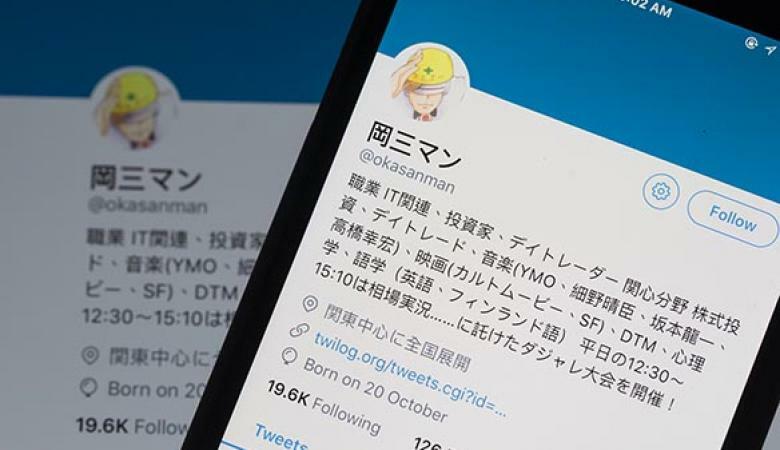 A recent article on Bloomberg featured one such occasion – this is an anonymous Japanese Twitter account called Okasanman, who tweets financial news such as Bank of Japan interest rate changes or corporate acquisitions faster than any other news service. As a result @Okasanman has become a must-follow Twitter account for many Japanese traders – both institutional and private. No-one knows who he or she is, how they find the information so quickly, or why they do it. The assumption is that it simply tracking and tweeting the information must take most of their time – and they’re not attempting to monetise the account or the information they publish. This is just one example of a critical, must-follow Twitter account if you’re trading in Japan (tweets are in Japanese) and there are others in other parts of the world. But if you’re a trader, analyst or portfolio manager in a large financial firm, you probably don’t have access to Twitter – or if you do it’s via a heavily curated feed where you can’t choose who to follow – so you probably couldn’t follow Okasanman even if you read Japanese! That’s unless you use EarlyBird – Smart, Safe Twitter for Finance – a fully-compliant, read-only Twitter system that lets you follow anyone, and that will auto-translate Tweets from Japanese – and a range of other languages.